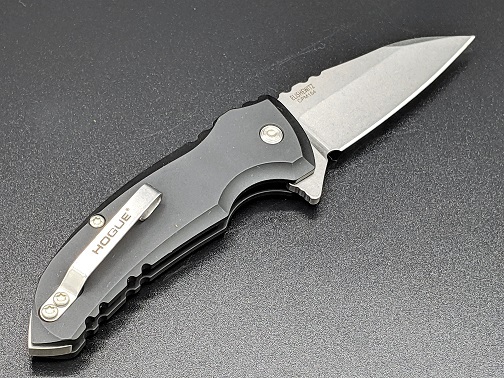 Hogue X1 Microflip Drop Point Automatic Knife Is A Sturdy Yet Stylish EDC Auto. Matte Black Anodized Machined 6061 T-6 Aircraft Aluminum. Extended Back Spacer With REVERSIBLE Steel Pocket Carry Clip. Tip Up Carry. Back Finished Plian Edge 154CM Stainless Steel Drop Point Blade Rated 57-59HRC. 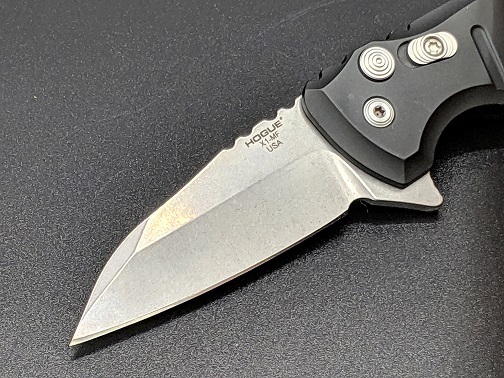 Blade Length: 2.75" Blade Thickness: 0.120" Overall Length: 6.67"